After living outside the USA for 15 years, the USA laws start to blur. It is a very confusing moral dilemma. Should I obey American laws so the doctors and pharmacies make money? On one hand, I want to respect the USA, obey the laws and pay taxes so the schools and roads have money. On the other hand, I would never bend over for the soap in front of a doctor; they do not seem to have any sense of remorse. 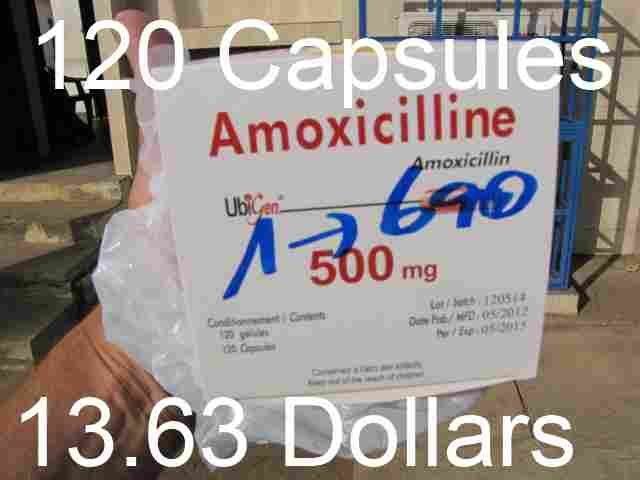 I can talk to a doctor in Guatemala for U.S. $3-8 dollars – even an American one if I want. I can talk to doctor in Thailand for U.S. $2. In the Philippines, I once paid U.S. $10. Last year in the Dominican Republic, I saw a doctor for free. This was a very confusing experience. I felt very strange talking to a doctor for free. My American culture says that I am to respect them, pay them money and not ask questions because somehow American doctors have better brains. I really do not want to take sides. This is not a "USA: love it or leave it" proposition. It just is silly for me to be angry at the whole country. Yet, it seems savvy, intelligent and a survival of the fittest thing to disobey the doctors, and health insurance and pharmaceutical companies. In the members-only area is a video of me buying Amoxicillin.